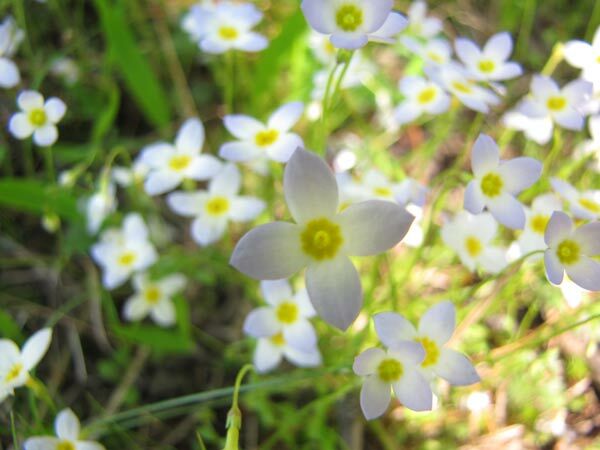 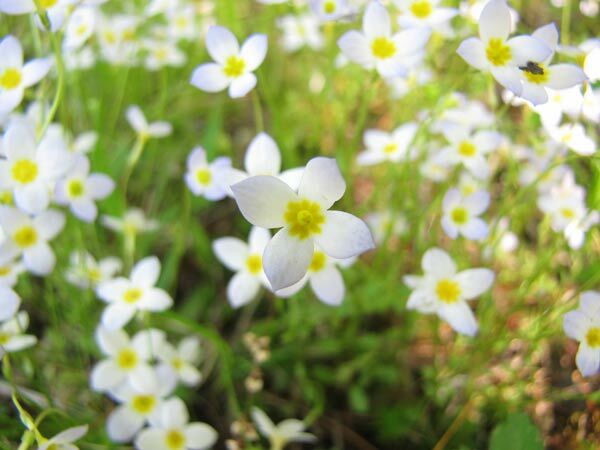 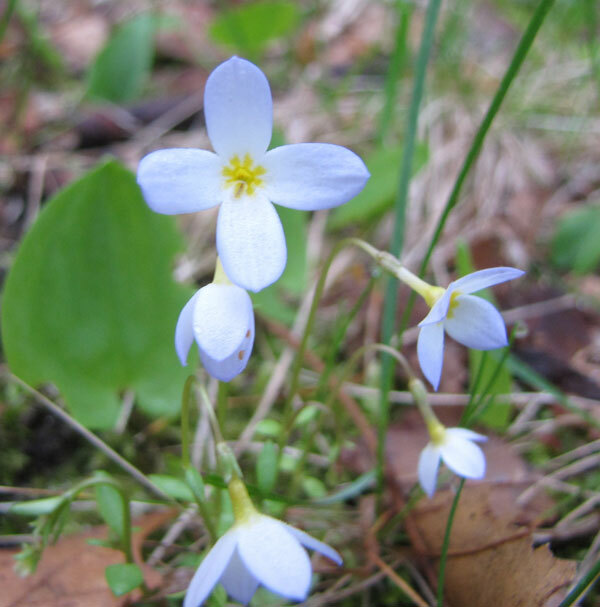 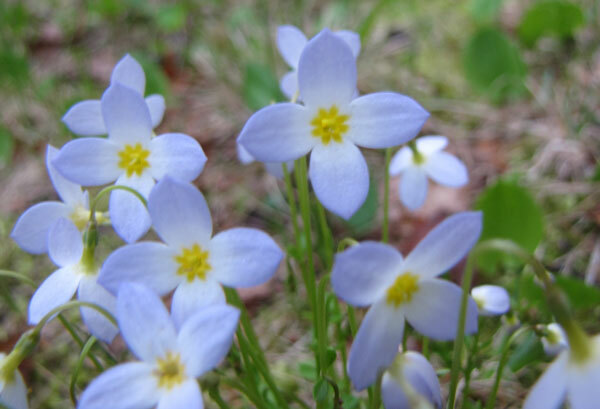 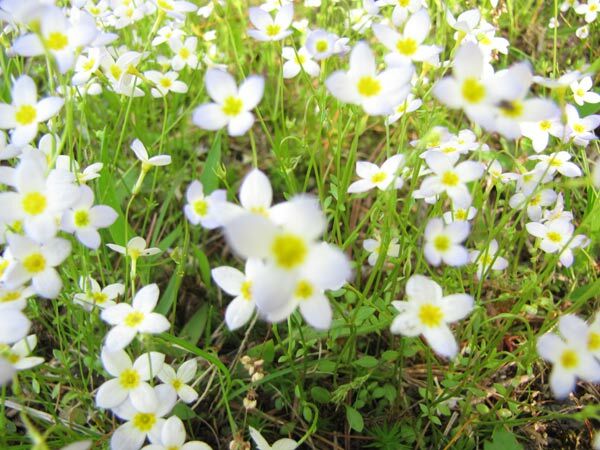 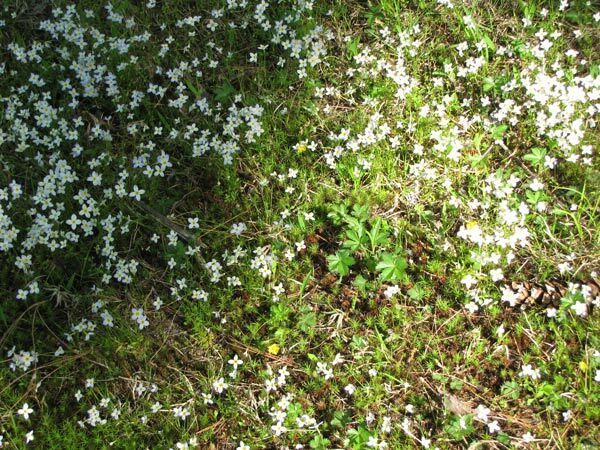 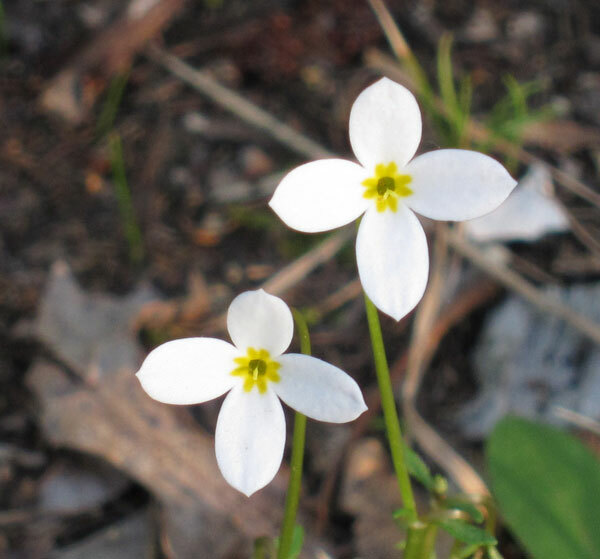 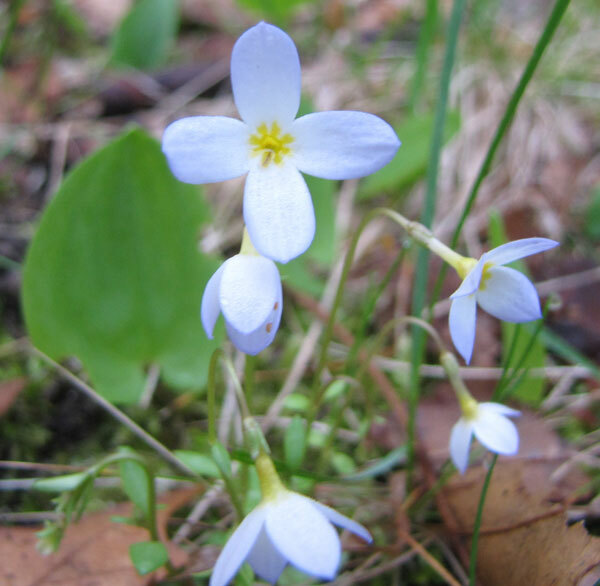 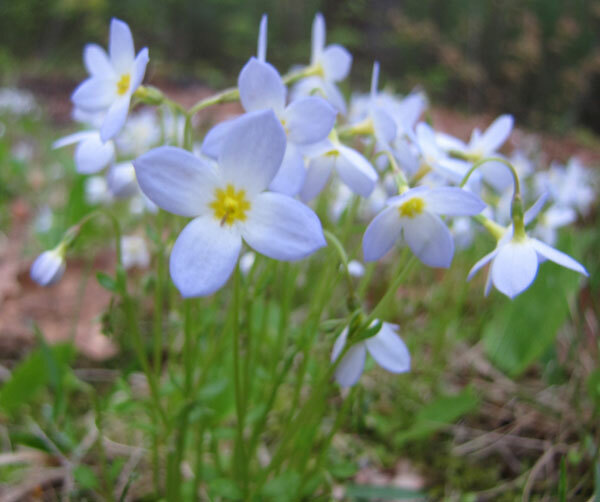 Bluets are tiny wildflowers that grow in clumps. 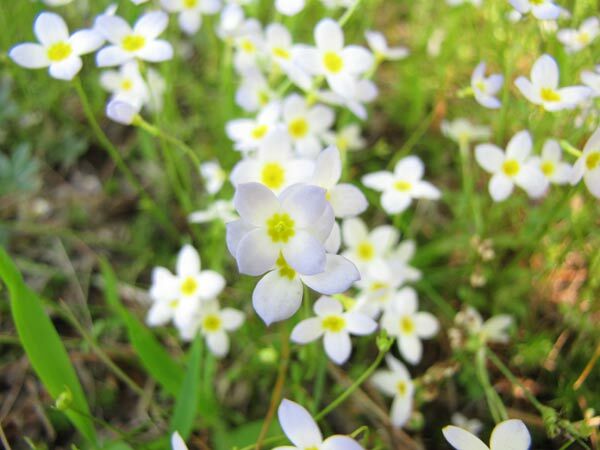 They have four petals per flower and the petals are white to white-blue in color. 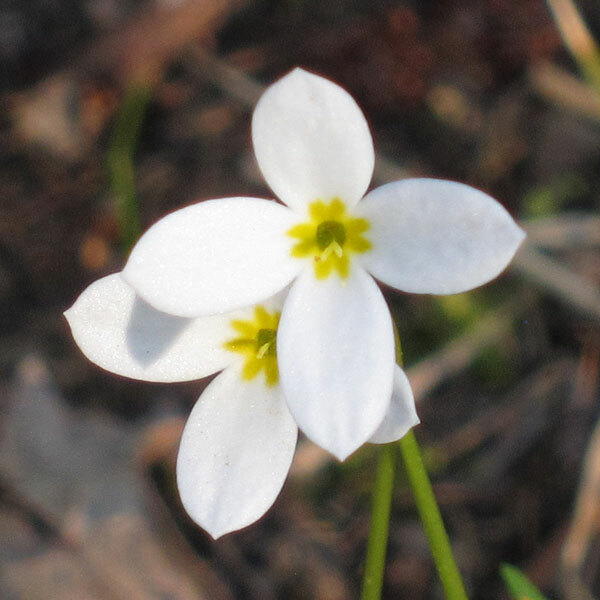 The center of each flower is yellow with one protrusion sticking out. 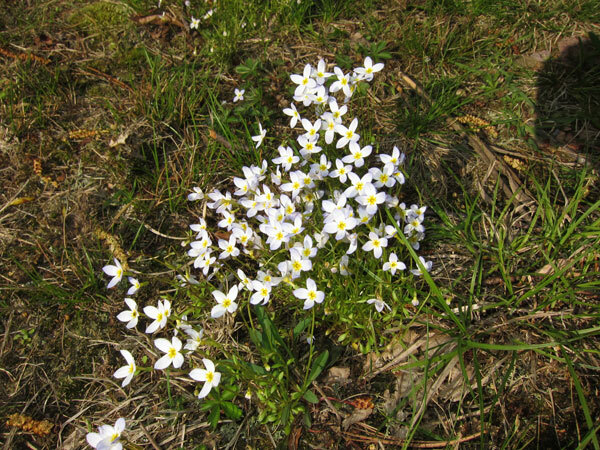 Blutes in general are Houstonia genus and I believe these are the thyme-leaved variety, or Houstonia serpyllifolia. 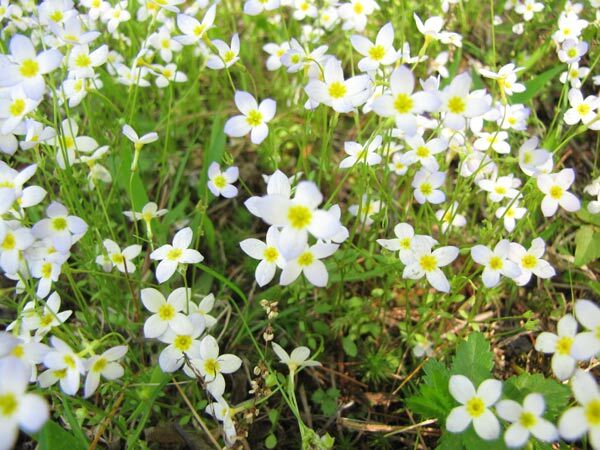 They bloom in early May and carpet our lawn - and are found in many parts of Sutton in general. 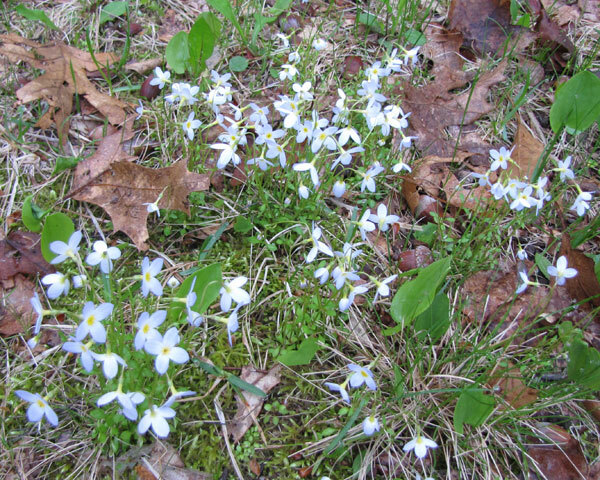 Bluets are found all down the eastern seaboard. 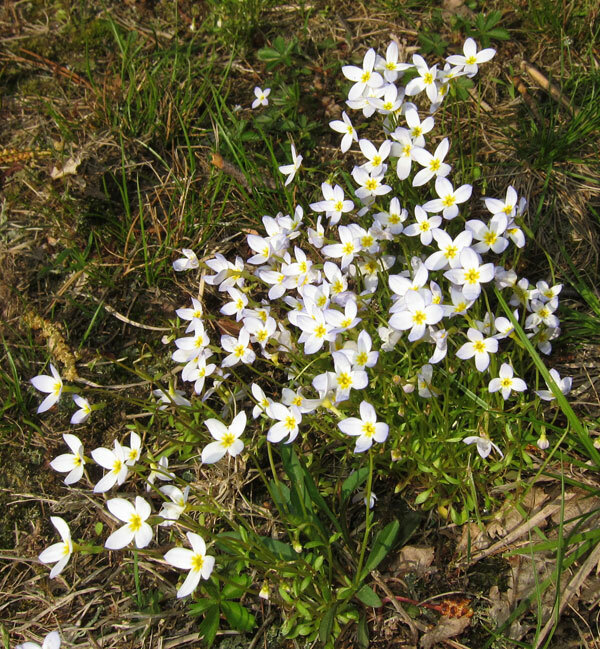 This next batch is from May 2010.